Joshua Miles is headed to the NFL Combine in hopes of being the first Morgan State player drafted in a decade and a half. 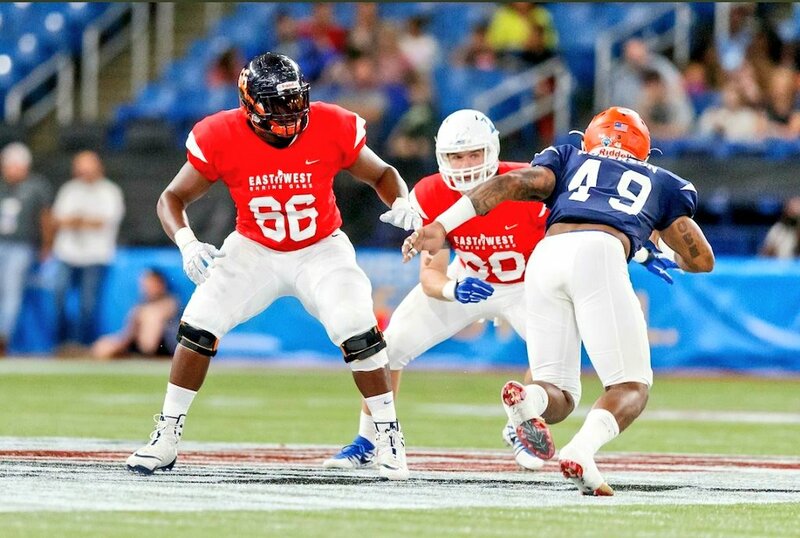 Morgan State offensive tackle Josh Miles has been invited to the NFL Combine in Indianapolis after performing well at the East-West Shrine Game. The NFL Combine will take place Feb. 26 through March 1. He’s hoping to become the first Morgan State player drafted since Visanthe Shiancoe. The tight end was drafted by the New York Giant in the third round of the 2003 NFL Draft. Miles path to this moment was not easy at all. He missed his junior year, fighting to raise his grades. He returned to the team, shifted his position and the rest is history. The Big Fella from Baltimore, Joshua Miles, is headed to the NFL Combine! All of those components plus having to block some of the best defensive players in the MEAC in his practices, and his everlasting support from his mother; Miles’ story is one that should be noticed and it’s nowhere near over. “If you’re willing to work hard, and if it’s in God’s plan for you; it’s possible,” Miles said before heading to the all-star game. The 6’6, 305 pound Baltimore product is now one step closer to achieving his goal.